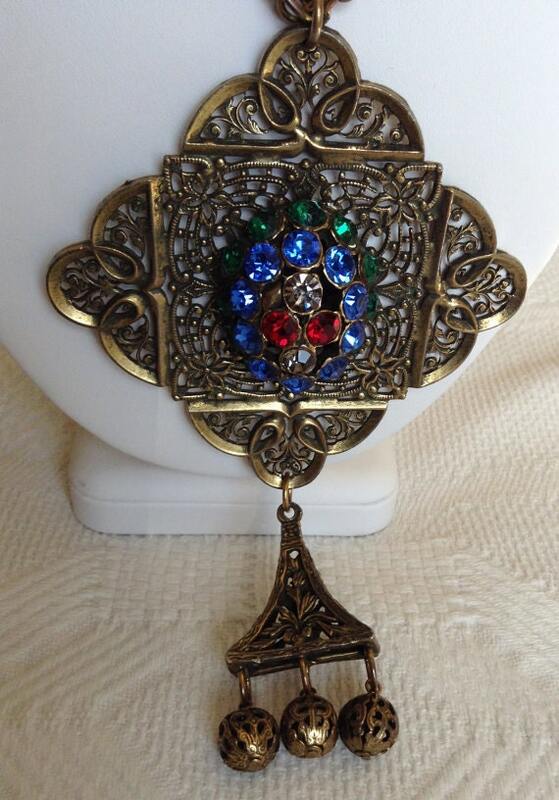 1960's, 18 inch long chain, with large brass filigree pendant with blue, red, green, cut glass dome center with an additional filigree drop ending with 3 dangling balls. 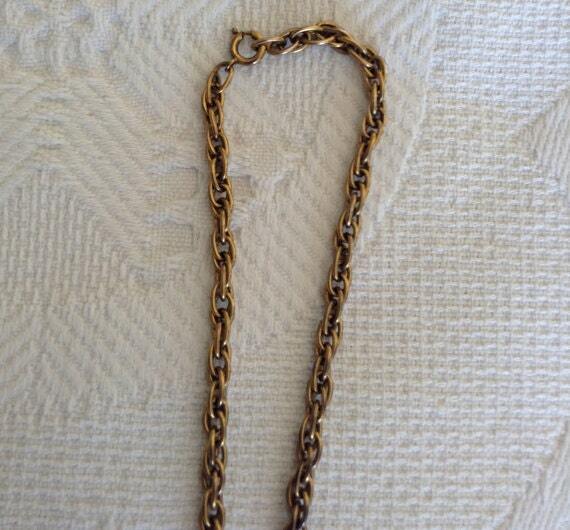 Chain is braided link brass with large jump ring fastener. 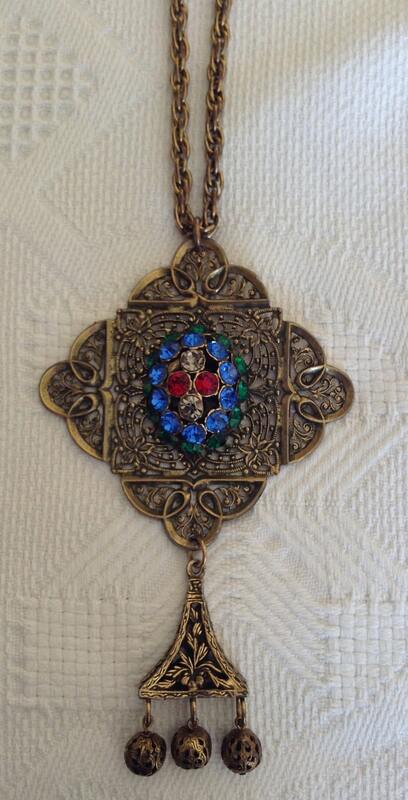 Measurement: Chain is 19 inches long, pendant is 4 inches by 4 inches, dome center is 1 inch by 1 inch, and the additional drop is 2 1/2 inches by 1/2 inch.